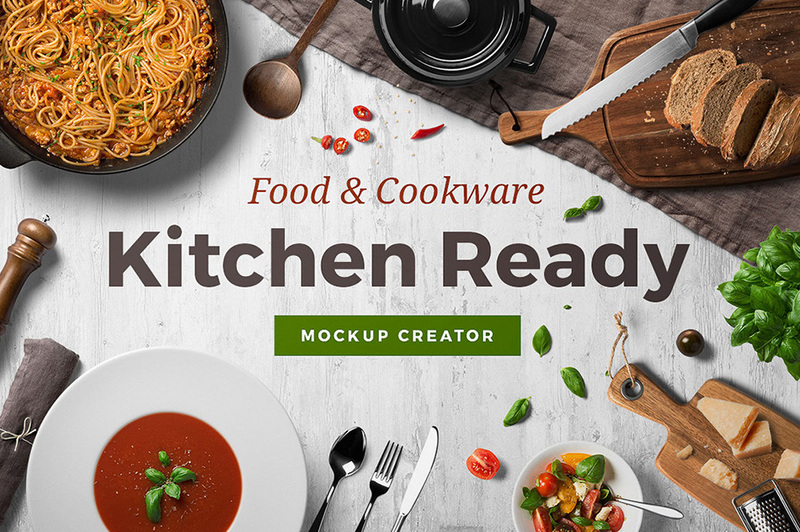 Loaded with features, our scene generator allows you to create your own original restaurant, bar or food-related branding identity presentations by just dragging and dropping items in Photoshop. 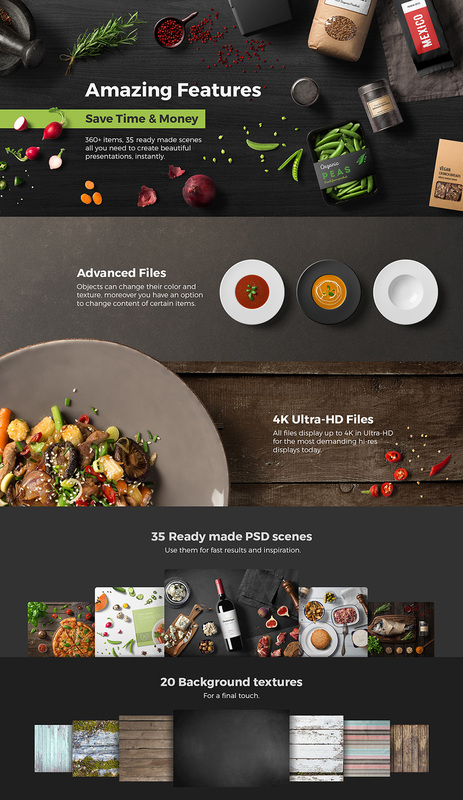 • Save Time & Money – 360+ items, 20 Ready made .PSD scenes and 20 Background textures; all you need to create beautiful presentations, instantly. • Advanced Files – Objects can change their color and texture and you have the option to change the content of certain items. • 4K Ultra-HD Files – All files display up to 4K in Ultra-HD for the most demanding hi-res displays today. File size is approx 15.20GB unzipped, offered as a 11 part download. Hello DC, I wish U a 5th Happy Birthday! 🙂 Im new here, it’s fantastic what UR doing, the best I like is Your community. And commendable represented by Your TEAM! GRT! Thank you very much for the presents, for being here and this phenomenal mockup!! I love. Thank you so much for your lovely birthday wishes Mariann, our kind words really mean the world to us!